I recently went on a 4-day rafting trip with OARS, and I brought a backup battery and solar panel on the trip in order to keep my camera and phone charged for photos and journaling. Fortunately there are a lot of options for portable chargers, and every year they seem to get smaller, lighter, and more powerful. 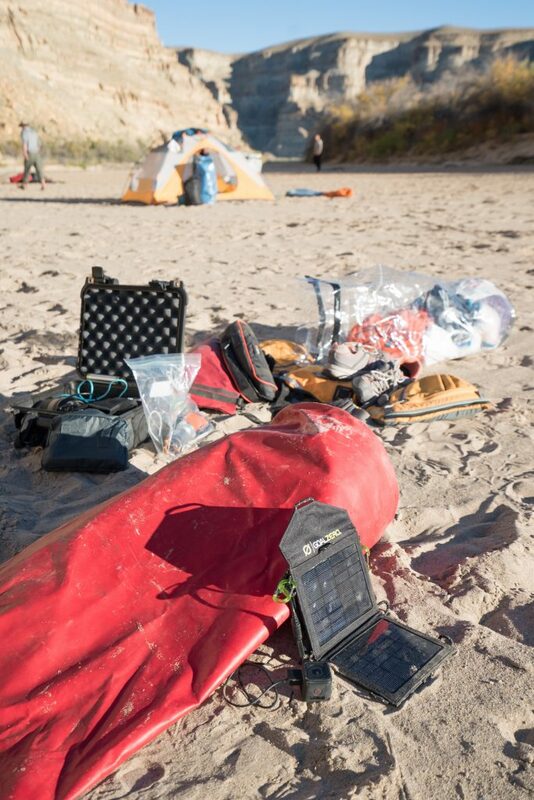 In this blog post I break down some of the questions to ask when choosing a solar panel and backup battery pack for your next rafting trip, along with some of my favorite products. Do I need a solar panel, battery pack or both? Solar panels don’t store power. If you want to be able to use your devices during the day and then recharge them at night when it’s dark, you’ll want to start with a battery pack using the guidelines below. If you charge your battery pack before the trip and turn off your devices when you aren’t actively using them, a powerful portable battery should be sufficient. If you are on a longer trip, like the Grand Canyon, and you think you’ll deplete your battery pack, then you might also want a solar panel that you can use to keep your portable battery pack topped off. The first step in choosing a battery pack is to look at the devices you are bringing and see how much power they need to fully charge. For example, let’s say you want to bring an iPhone 7 plus with 2,900 mAh (“milliampere hours”) battery, as well as a GoPro Hero5 with a 1220 mAh battery. That’s a total battery capacity of 4,120 mAh. If you want your spare battery pack to charge both your iPhone 7 Plus and your Gopro Hero5 at least once each, you’ll want a battery pack that has a total battery capacity of 4,120 mAh or greater. If you want to be able to charge each device twice off one battery pack, then you’ll want double that. How fast do I want my stuff to charge? The power output of your portable battery pack determines the speed at which it charges. A higher amp output basically means your stuff will charge faster. If you want to charge your point and shoot camera and your phone simultaneously while you’re eating dinner and hanging around the fire, look for a portable battery pack with two USB ports that each have an output rating of at least two amps. What other factors should I consider for portable chargers? 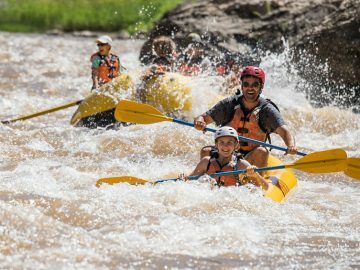 If you are on a rafting trip, durability is important. If you need to hook up your battery pack to a solar panel while you are out on the boat during the day, consider one of the waterproof options below. Weight and size is also something to consider. 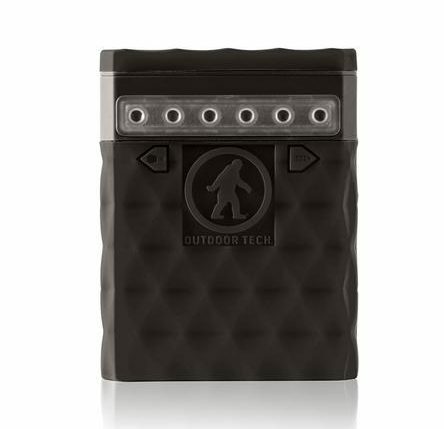 If you plan on using the same battery pack for a future backpacking trip, you’ll want one of the lighter, smaller options so it doesn’t weigh you down. How big should my solar panel be? With solar panels, you’ll want a solar panel that is powerful enough to charge the portable battery you choose. Bigger panels with higher wattage ratings are able to harness more power from the sun and will charge your battery pack faster. The trade-off is bigger panels are heavier and take up more room. For most outdoor activities, you’ll want a solar panel that is rated between 7W and 21W. Now that we’ve broken down the different questions to ask yourself, here is a list of my favorite portable chargers for a rafting trip. 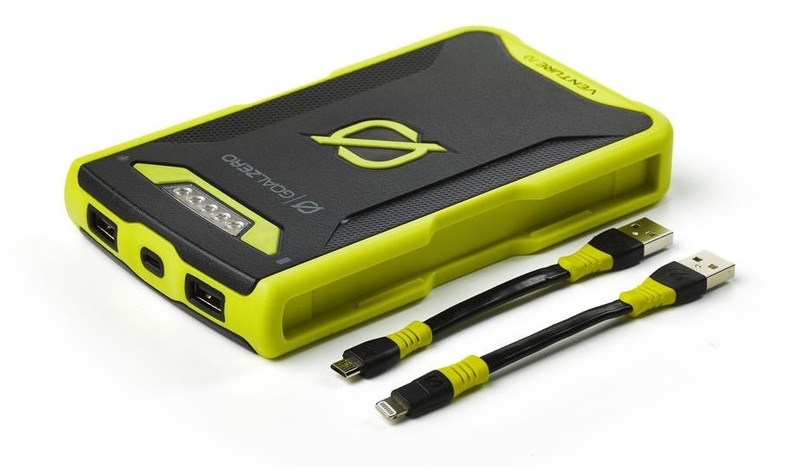 Outdoor Tech power banks are waterproof and shockproof making them a great option for rafting. The Kodiak 2.0 is the lightest battery pack on this list and can charge an iPhone about 3 times. They come in different colors and have bright rubber casing that makes it easy to hold onto even when it’s wet. 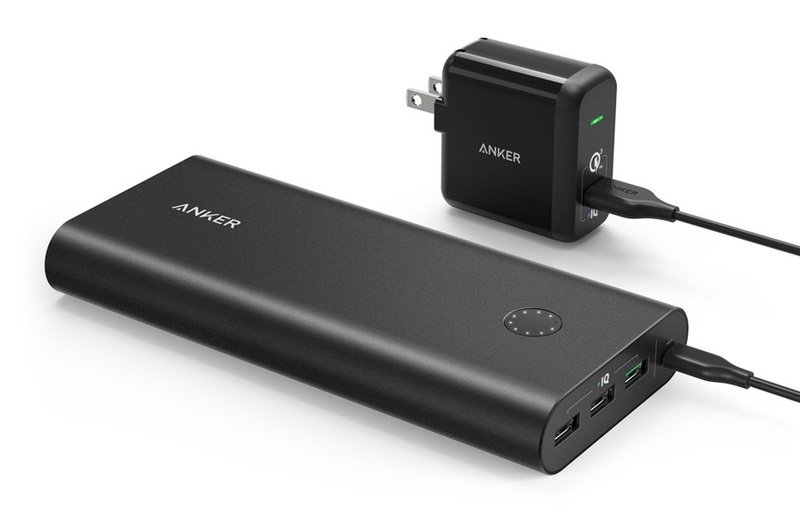 The Anker Portable Charger PowerCore+ 26800 is the biggest battery pack on the list, with the ability to charge an iPhone up to seven times. It’s also extremely fast. While Anker products are built to last, they aren’t water-resistant or built specifically for the backcountry. That means, you’ll want to limit your charging to your tent and keep it protected in your dry bag while you’re on the boat. The Goal Zero Venture 70 battery bank was made for outdoors. It’s water-resistant so using it on the boat is no issue, and you can pair it with Goal Zero solar panels if you want to recharge it while on your trip. It can charge a smartphone about five times and can handle two devices at once. 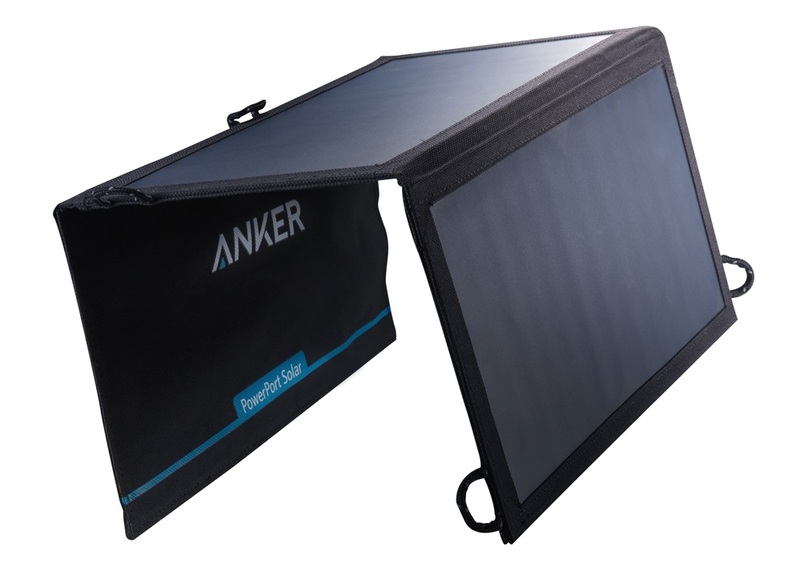 Harnessing a total of 15 watts and delivering 2.1 amps, the Anker 15W PowerPort Solar Lite Charger is pretty powerful for its weight. It’s not waterproof, so you’ll want to use this one during mornings and afternoons at camp. The Goal Zero Nomad 20 is a powerful panel and will most likely be overkill for all but the longest rafting trips. With 20 watts, it can recharge the Venture 70 power pack mentioned above in eight full hours of sunlight. 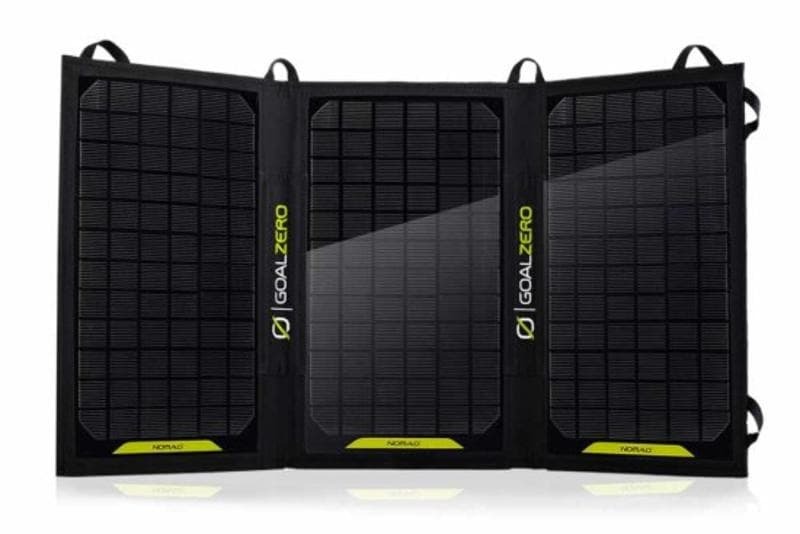 Goal Zero also makes a smaller, lighter 7 watt panel (best for backpacking trips) and a 13 watt panel that will work great on shorter trips. The thing that sets Goal Zero apart is that all of their solar panels are water-resistant. This means, when paired with a water-resistant battery, you can attach it to the boat and leave it out all day, even in the rapids. 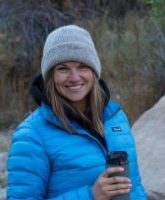 About the author: Kristen Bor is the founder of Bearfoot Theory, a leading outdoor travel website where she shares detailed destination guides, outdoor tips, and her favorite gear in order to help everyday people spend more time outside. She grew up in Idaho, travels in a 4×4 Sprinter Van, and spends her time wandering around the West. You can follow her adventures on Facebook, Instagram, and YouTube.